It would be nice if BSPN had covered the NCAAs statement. They publicized Sheridan’s meeting with the NCAA on their “crawl” Thursday, but I guess didn’t feel it was newsworthy when the results came out. Typical of the network’s poorly disguised obsession with bringing down Auburn. And yet, Fartbomb continues and tries to make this statement something ominous for AU. Geez, when will they ever give it up? 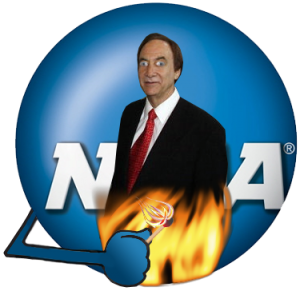 Danny Sheridan is just simply a sleaze, and Finebaum is just a whore for ratings. I don’t know which one is worse. I quit listening to Finebaum regularly months ago, but I hear it occasionally in the car on XM. I usually turn it off after about 5 minutes, out of disgust. I am watching ESPN right now, because my HS is playing football on it right now. 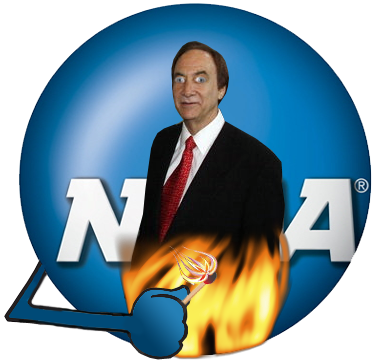 I have been looking for something on the crawl about the comments from the NCAA. So far, nothing. I would quit watching them, if so many of our games weren’t on it. The “4 Hours of Hate” and the “Conduit of Hate – Kreskin” has all the hypotheticals he can think of about what this meant, but I think everyone within listening distance of the “Conduit of Hate – Kreskin” knows what the NCAA said and what it meant, yet he keeps spewing some hidden meaning of what the NCAA said in their release. The “Conduit of Hate – Kreskin” needs to deal in facts and what he knows, not what he has learned on the playground. Next thing we know he will be reading tara cards and sticking pins in voodoo dolls. Maybe on the “4 Hours of Hate” he can dedicate an hour of the show to reading tara cards and the “Condiut of Hate – Kreskin” can tell us what is in the cards for Auburn since he has hundreds of hypotheticals or pick lottery numbers for us or better yet tell us what the NCAA is thinking. Or maybe again just put in language he understands red rover red rover please send the facts over. I just took a Sheridan, now I need a plumber. We should quit using ESPN to cover Auburn games. We need to get out ot this contract NOW. War Eagle! Sheridan went to Alabama, so go figure his vendetta against Auburn along with his buddy Finebaum. Beat the snot out of Utah S. !!!!!!!!!! !